Show some team spirit! If you're an Alabama fan then this is the fabric for you. Designed by Sykel Enterprises, this 100% cotton print features crimson and gray stripes with black and white logos. Intended for personal use only. 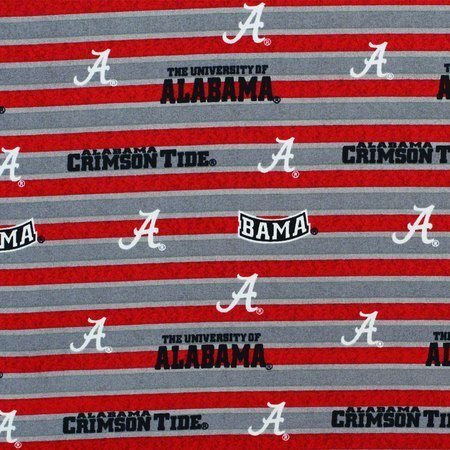 The logos on this fabric are protected trademarks of the University of Alabama.